MVD Alcohol Screening AZ | Take Your Screening ONLINE! Take Your DUI Alcohol Screening Online! We are Arizona’s #1 alcohol screening provider based in Phoenix and offering the additional convenience of online alcohol screenings for the whole state of Arizona! If you’ve been arrested for a DUI in the state of Arizona, the Arizona Department of Transportation, Motor Vehicles Division (MVD), will suspend your driver’s license for 90 days. This online course consists of 16 hours of state certified curriculum. If you have been assigned 36 or more hours of DUI treatment, you will be required to complete more in-depth content related to substance abuse issues. 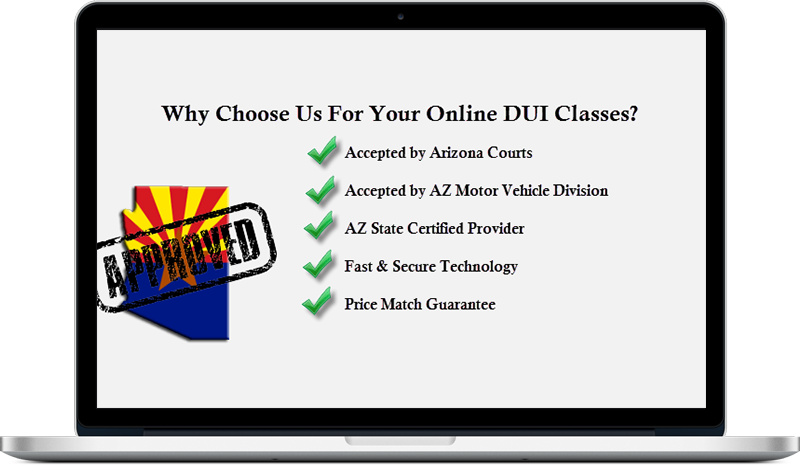 We are a locally-owned, state licensed, and MVD-approved DUI Services provider in the state of Arizona. We have years of experience, and a friendly and knowledgable staff eager to help. We offer the convenience of online or on-site DUI services such as alcohol screenings, counseling, and treatment. Wherever you reside in Arizona, we can help. 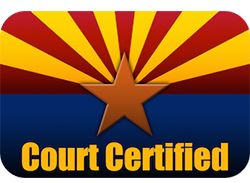 We proudly serve the state of Arizona including the following locations: Tucson, Phoenix, Tempe, Scottsdale, Chandler, Peoria, Surprise, Prescott, Sedona, Cottonwood, Flagstaff, and all surrounding cities and areas located in Arizona. And don’t forget - we offer both online and onsite screenings and classes to work around your schedule! Whether it’s your first or second DUI offense, undergoing an alcohol screening is mandatory in the state of Arizona. An alcohol screening is a brief 30-minute interview completed with a qualified behavioral health technician. This screening can be done at our Phoenix-based office or completed online from the convenience of your home; all you will need is a reliable Internet connection and a web camera. 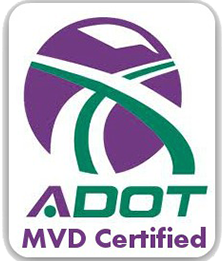 The Arizona Department of Transportation/Motor Vehicle Division (MVD) requires most people who receive a DUI in Arizona to obtain an Alcohol Screening in order to be eligible to obtain a Restricted Driver’s License. The Restricted Driver’s License allows a person to drive to and from work, school, and counseling or treatment. We proudly serve alcohol screening clients in Phoenix, Scottsdale, Mesa, Glendale, Chandler, Gilbert, Surprise, Paradise Valley, Cave Creek, Fountain Hills, Tucson, Flagstaff, Sedona, and all surrounding cities! What are the basic penalties for a DUI received in Arizona? Simply give us a call at (602)687-9481 or fill out the form and one of our representatives will reply soon!